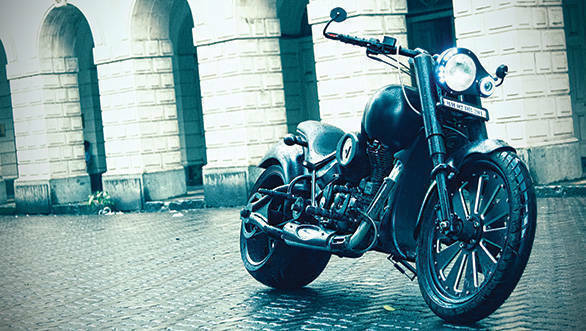 Vardenchi, the motorcycle design firm that specializes in custom modifications, is opening its first flagship store in Mumbai on April 2, 2019. The 1,000 sq ft space, termed a 'Lifestyle Garage' will be located in Goregaon West and offer bespoke motorcycle upgrade solutions and accessories. Motorcycle upgrades available at the store will include fitments designed to improve safety, style and utility like lights, seats, guards, luggage and so on. Bikers will be able to buy accessories like fashion motorcycle helmets, lifestyle riding gear along with a collection of apparel like t shirts hoodies and shoes. The space has also been designed as an area where bikers can come and relax in premium space but with a uniquegarage-like ambience. Ther is start of the art installation equipemnt present which will also let customers see the work being done on their bikes. Speaking on this, Akshai Varde, MD and founder of Vardenchi said "The Vardenchi Lifestyle Garage is a culmination of our long standing vision of offering 'everything motorcycle.' The market and the timing are very well positioned for a concept like this and we are extremely excited to kick off the first of an entire network of franchise stores"